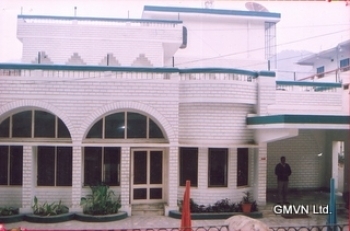 GMVN TRH in Srikot is a budget guest house providing comfortable place to stay in Srinagar Garhwal. Srikot is an important town situated on Badrinath Highway. Accommodation in GMVN Tourist Rest House Srikot is categorized under Deluxe Rooms, Economy Class and Dormitory. It is a budget lodge providing with basic amenities. The rooms are clean and spacious with attached sanitized bathrooms. 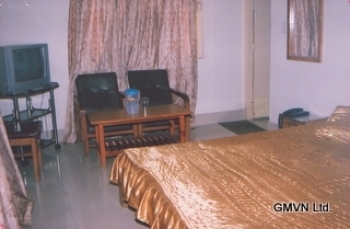 GMVN Tourist Rest House in Srikot is located near Government Hospital. Srikot is situated 3kms ahead of Srinagar in Pauri Garhwal district of Uttarakhand state. The GMVN TRH Srikot in Srinagar offers 08 Deluxe, 12 Economy and 10 Bedded Dormitory. Each room provides all basic amenities such as clean bed, linen, attach bathroom, hot water supply etc. The restaurant in the GMVN TRH in Srikot serves sumptuous cuisines and delicious snacks to its guests.